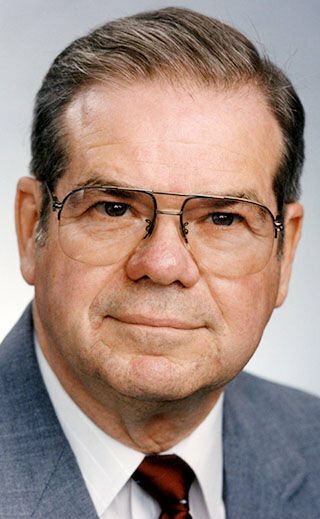 Dr. James E. Powers, 84, of Sturgeon Bay, WI, died peacefully after a long battle with Parkinson’s Disease on Monday, April 1, 2019. He was born May 21, 1934, in Eau Clarie, WI, son of John and Carolyn Powers. He grew up in Eau Claire, WI. In 1957, he graduated from the University of Wisconsin-Madison with a degree in pharmacy. Following college, he worked for the Wisconsin Alumni Research Foundation for 10 years. In 1968, James became co-owner of Manitowoc Pharmicies Inc. until he decided to pursue his doctorate pharmacy degree in 1981, graduating in 1983, with his Doctorate in Pharmacology from the University of Minnesota. Upon graduation, he joined the College of Pharmacy faculty at South Dakota State University and became the first full Professor of Clinical Pharmacy. In addition to teaching, James was the Coordinatior of Alumni Affairs and consulted at several health care centers before his retirement in 1999.